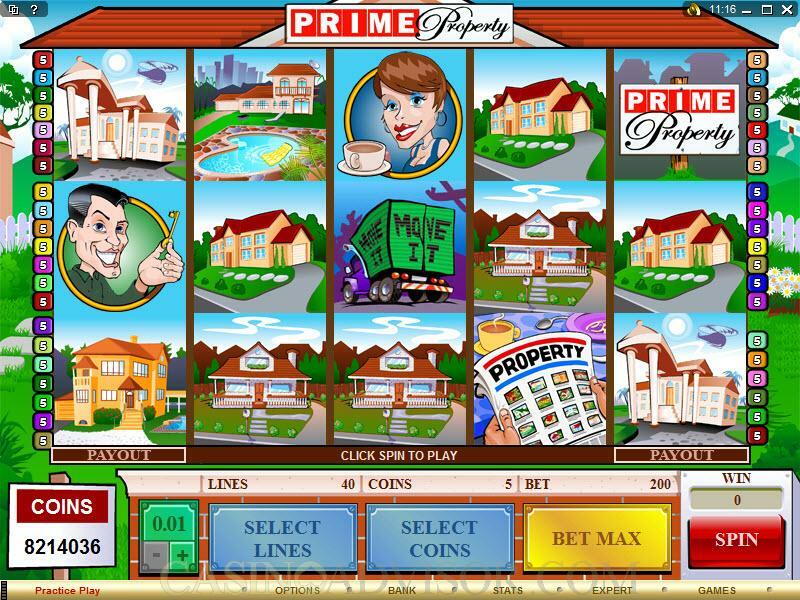 Prime Property is an interesting video slot game designed by Microgaming, perhaps the most respected online casino software company in the entire world. This is a five-reel game, with 40 paylines, and a maximum wager of 200 coins. There's a real estate theme here, but we can almost guarantee you that your prospects in playing this game are better than the prospects for the housing industry. 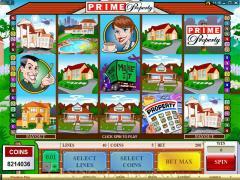 Prime Property features a wild and a scatter, as well as a nice bonus game. The Prime Property symbol is the king of the hill; getting five of them in an enabled payline will pay 12,000 coins. The Prime Property video slot game has a scatter symbol, the "Move It" symbol, which is basically a graphic of a moving truck. As a scatter, this symbol does not have to appear on an enabled payline in order to be part of a win. The game also has a wild symbol, which is quite appropriately called the Prime Property symbol. Wilds can serve as a substitute to complete winning combinations (except, of course, scatter combinations). The Prime Property Bonus Game is not triggered by a scatter symbol but is instead activated by a special bonus symbol - the Morning Paper symbol. If three or more of these symbols appear anywhere on the five reels, the bonus game is automatically activated. The game involves free spins and multipliers, depending on how many Morning Paper symbols appeared to trigger the game. 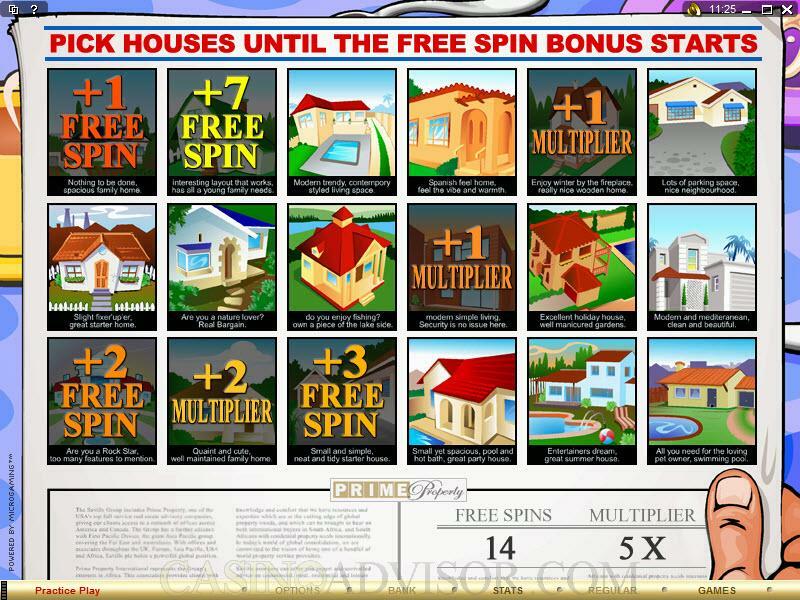 Then, from among three rows of six houses each, you will select houses to reveal additional free spins and/or multiplier values, and go from there. 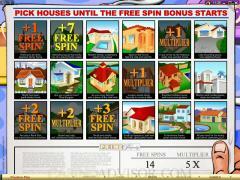 There are 40 free spins maximum that can be awarded in this bonus game, at an 8x multiplier. The largest coin size in Prime Property is just 0.25, but one of the really good things about the game is that you can designate up to 40 paylines, which means the maximum bet is 200 coins. Interested in reading more detailed information about Prime Property? If so Click Here for more details.